Engaging young adults in intensive community service work with the goal of meeting the critical needs of the community and environment, we are proud to partner with AmeriCorps and AmeriCorps VISTA through CNCS, providing service opportunities to young adults across the country. Learn more. Conservation Legacy provides strategic leadership to support the Partnership for the 21CSC, with the primary goal of providing leadership to expand and deepen the impact of corps work. The 21CSC is a bold national effort to put thousands of young American’s and veterans to work protecting, restoring, and enhancing America’s great outdoors and cultural and community resources. The program is operated through a public-private partnership between government, industry, non-profit and community organizations, working together to foster the next generation of community leaders and resource stewards. Conservation Legacy is proud to be a leader of the 21CSC movement. Learn more. 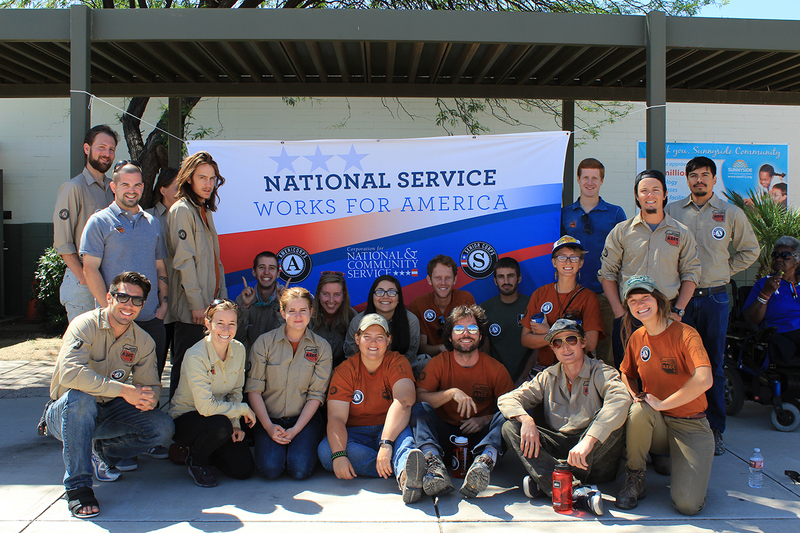 Conservation Legacy is a proud member of The Corps Network, providing critical leadership to the corps movement and to the nation’s service and conservation corps as they tackle some of America’s greatest challenges. Learn more.